This week's Art Talk Monday, written by Mark Guinn, Director, School of the Performing Arts, Louisiana Tech University Arch villains Big Pollution and The League of Trash have been sighted in Louisiana along the highways and bayous of our beloved state. Where are our heroes? Where is Keep America Beautiful Man, Kee-La-Belle, and K-Linc? Where are the good citizens of the great state of Louisiana? The League of Trash featuring Cig-Man, Styro, Aluminin-anne, Plastik, and Big Pollution invade the School of Performing Arts' Howard Auditorium October 16-20 and 23-27 in an effort to trash the state. Come and cheer our heroes on in their adventure to rid the state of plastic bag trash, cigarette butts, fast food wrapper litter, styrofoam cups floating on the bayous & rivers, and bad recycling habits. KAB Man is an original one-act play written by Jake Guinn and Christopher 'Lito' Tamez in conjunction with Louisiana Tech’s Advanced Acting class of 2010-2011. It is an action-packed, family-friendly, fast-paced show featuring characters based on the Keep America Beautiful campaign and website, which is dedicated to informing citizens of the dangers of littering and pollution. 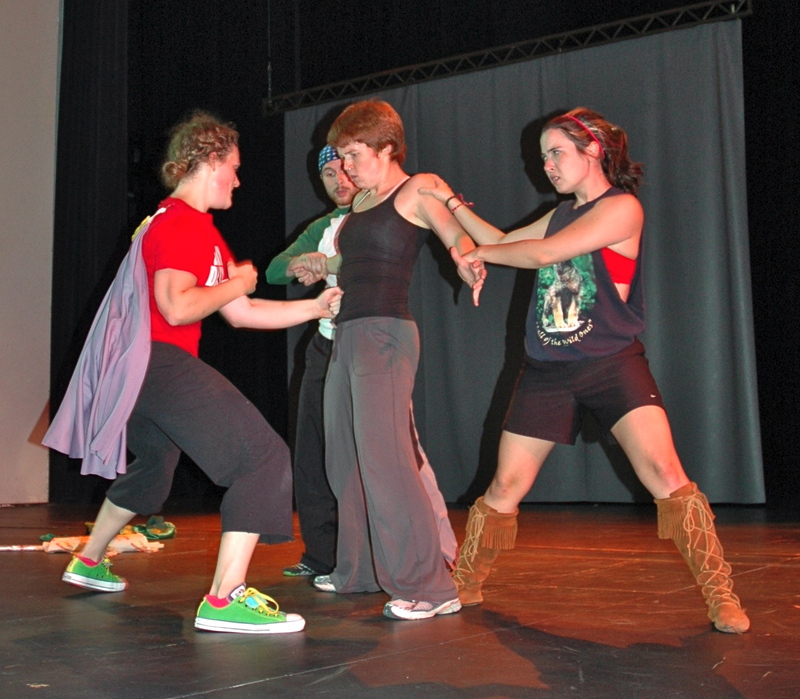 The 2010 production of KAB Man garnered state and national acclaim, culminating in winning the Creativity and Outreach in Media Award from the Keep America Beautiful national organization. The 2012 performances of KAB Man include two school matinees funded in part by Keep Louisiana Beautiful (KLB), the state’s non-profit volunteer organization dedicated to litter prevention and waste reduction as part of its 2012-2013 Healthy Communities Grants program. The school matinees are October 24 and 25. Any schools with 'young heroes' and 'young heroines' wishing to join our super heroes in the battle to beautify the great state of Louisiana please contact us for school group matinee rates. For more information on performances and the school matinees contact the Howard Center Box Office. The Box Office is located in the lobby of Howard Auditorium. The Box Office hours are Monday – Friday, 1:30 pm – 4:30 pm, and the number is 318-257-3942. Tickets are $12 for adults, $5 for students and continuing education with valid I.D., $8 for children (under 14) and seniors (65 or older), $7 for groups (10 or more).